Technically excellent legal advice should be the very least you expect from your lawyer. And with us, it’s a given. But if it helps you make up your mind, here are 10 other reasons why choosing us makes sense. 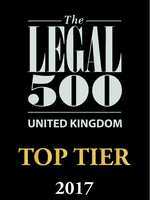 Our depth and breadth of expertise and experience surpasses almost every other specialist firm. We adopt a multi-disciplinary approach to legal issues involving employees, and have a substantial team of over 40 lawyers able to deal with the full range of workplace-related matters. 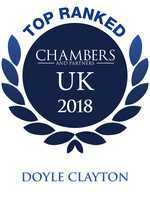 We’re considered one of the leading specialist law firms in the country, with more than half our partners recognised as leaders in employment law. We focus all our efforts on what we do best. Our client-base is broad, reflecting our success. We have been entrusted by PLCs, SMEs and startups, and CEOs, COOs, Senior Executives and Managing Directors, across almost all business sectors to advise on their employment situations. Our partners and associates come from other leading City and regional firms. And we work with some of the UK’s leading businesses from our London and Reading offices. Because we’re focused on workplace law only, we can carry out work at realistic and competitive rates. Our aim: to offer outstanding value for money. We’re not fence-sitters. We’ll look at the commercial circumstances, assess the risks and provide you with a solution. One that makes both commercial and legal sense for you. We do not give off-the-shelf advice. We’re responsive to your needs. We’ll assign you a team of named lawyers to be your first point of contact for advice and support. We’ll bring in additional expertise and resources from within the firm as necessary. Our written communications are to the point and in plain English. We’ll never blind you with legalese. If you want, we’re very happy to keep you up to date with the latest developments in employment law. We produce regular electronic updates, legal guides, and email alerts to keep you in the loop. Like most firms, we provide training, but we emphasise practical, case study-based training, tailored to your particular needs.